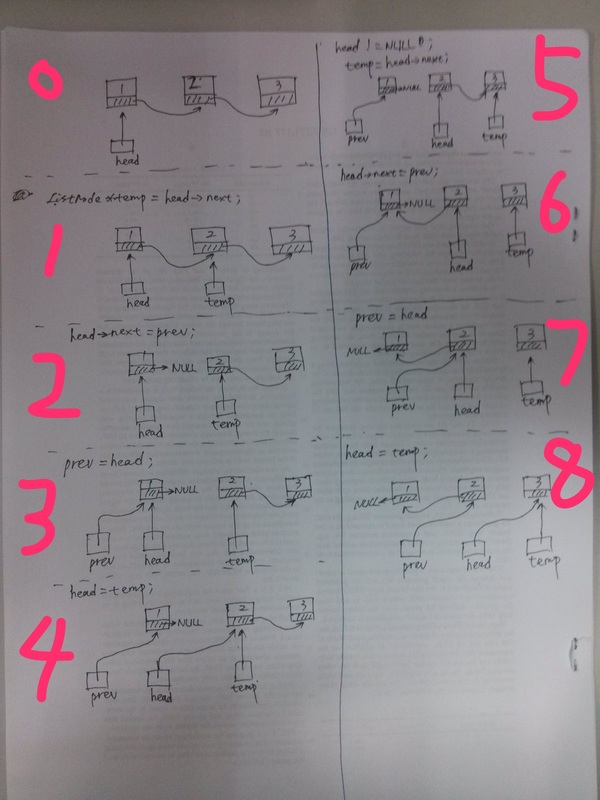 @param head: The first node of the linked list. @return: You should return the head of the reversed linked list. * @param head: The first node of linked list. * @return: The new head of reversed linked list. 递归嵌套层数为 O(n)O(n)O(n), 时间复杂度为 O(n)O(n)O(n), 空间(不含栈空间)复杂度为 O(1)O(1)O(1).